Bryan Elliott Christensen, my husband and the love of my life surrendered his earthly body to a peaceful home in Heaven on Friday, April 12, 2019 . Born June 3, 1962 in Wellington, Kansas, to his loving parents Gerald (Chris) and Karen Christensen. Bryan has two sibling Cindee Williams and Eric Christensen (Lake Lotawana, MO). Cindee is married to Kyle with two children Benjamin and Avery Stratton, all residing in Topeka, KS. Eric is married to Kelly with three children: Zachary, Tristan and Chloe. Bryan graduated from Topeka West High School 1980. 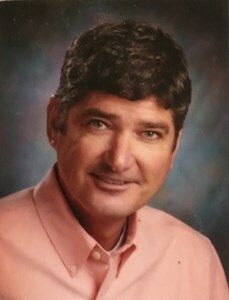 At Emporia State University he participated in tennis and ran cross country graduating in 1986. He was a member of the Sigma Phi Epsilon fraternity and his Grandmother Lola Palmer was house Mother. Bryan was the love of my life. We had actually met in 1980 while Bryan was in Colombia, South America on a summer trip and we reconnected 35 years later. It was a whirl wind romance and we were married in my hometown of Manizales, Colombia on June 30, 2012. It was an outdoor wedding on a beautiful summer day, with close family attending. Bryan was an avid golfer with a 5 handicap. There could never be too many golf clubs in the house, the garage and office. He enjoyed traveling. His last trip was to Key West, Florida, in March. Always up for new adventures, he had his pilot’s license – feeling free in the air. He had an appreciation for performance vehicles. His last beauty was a 2017 Grand Sport Corvette with a 6.21 liter engine having 670 horsepower. He received enjoyment from collecting high end time-pieces. His secret passion was watching the cooking channel. For most of Bryan’s professional career he was the Vice President of Rail Sales at PTMW Inc. Starting with the company when it was a group of three people; then helped grow it into the thriving business it is today with over 200 employees. He was a respected individual in the rail industry and at PTMW. What I can say most about my husband is that he was truly, liked by everyone he met. He never knew a stranger and had an uncanny ability to remember names of everyone he met. He truly appreciated life and his friends. Never ever a bad word to say about anyone – he focused on the good in life and the good everyone had to offer – seeing the beauty in everything. One of his friends recently text me and said “I never met anyone that just made you feel so good to be around”. That was my Bryan. His second love in life was his dog Zoe’ who will miss him deeply. The 19th Hole Get Together will be on Thursday, April 18th at his friend Patti’s house, 5:30-7:30 PM. Come have a cocktail and hors d’oeuvres to reminisce with friends and family. Let’s raise a glass to Bryan! The celebration of life will begin on Friday, April 19th at Dove Funeral Home, 37th and Wanamaker at 10:30 AM. A buffet lunch will be served immediately afterwards at Topeka Country Club. Please no flowers or plants, reserve flowers for the living. Donations directly to the Topeka Helping Hands Humane Society, 5720 SW 21st Street, Topeka, Kansas 66604. Bryan will be sorely missed by all his loved ones and will leave a hole in our lives, but we will hold those special memories in our hearts. He was the love of my life and best friend. Add your memories to the guest book of Bryan Christensen. I had the pleasure of working with Bryan in California on Metrolink. I enjoyed my time with him and found him to be easy to work with. I always enjoyed his stories and admired his love for different adventures. He took the opportunity to attend many different sports and entertainment venues while living in Anaheim. I remember the excitement in his voice as he recounted a recent concert or ballgame. This very pleasant man will be missed. May he Rest In Peace. I/ We have known Bryan through working with CSX ordering the wonder product that he helped produce. He was always the same. Helpful, courteous, and very friendly. If there were ever any problems at all he would take care of it ASAP. He will be missed very much. I pray for all his family knowing that he is in a better place with no suffering. He gave me a lot of advice concerning the heart operation that I had and will be forever grateful! Thanks for all the good times you showed us! We miss you much! To Claudia, Karen, Pattie and all family members Kay and I are in Florida when we heard the sad news about Bryan. We have been blessed to have Bryan and Claudia as our neighbors and friends since they moved to 33rd st. We are familiar with Bryans challenges over the last few years and how strong he was. He still remained a kind, funny and delightful person who we will sadly miss. We also hope to to stay close to the other strong people, the family team that supported Bryan throughout this struggle. We love you Claudia and please let us help in anyway we can. Sorry to hear about Bryan. I met him during one of my many moving jobs for Mr.&Mrs. C and Cindee. RIP Bryan and I will be praying for the family. Claudia and Patti, we feel blessed to have spent time with you and Bryan in Chicago! We will always remember his kindness and enjoy our memories of his joyful spirit! Please know that you are in our thoughts and prayers in the coming days! We know that there will never be a way to fill the hole he has left in the tapestry of your lives! Hugs and prayers! One of the truly nicest people on the planet. Our paths crossed many times over the years and Bryan was always positive and upbeat. He usually always had some good stories to tell, even if they were at his expense. Bryan,the world has a little less light with your passing. I met Bryan on a cold winter morning, on January 11, 1979. I was only 17 years old and Bryang was 16. I moved to topeka to attend, Topeka West high school. I was enrrolled for the second semester Junior Year. Bryan did not speak Spanish, what a coincidence, I did not speak English either. How we communicated? ....... I never could figure out. It was love af fist sight. We became best friends, we ran togheter everywhere, he integrated me to his high school friends, they all were very nice to me and very patient with my English. We graduated together on May 80, and he came down to south America, Colombia to be specific, with me. We spent three months down south, he learned his spanish like a native. He was always happy, he never complained. After we came back to the US, he went to emporia State and I attended KU, still, we kept intouch all the tiem, we went on roadtrips together. He and I became best LIFE friends. I went back to my country of origen in the 90´s and we kept in contact all the time. I persuade him to come back and visit colombia and he did it. We got a get together party with all the perople he met in the 80´s and he reunited with claudia who a couple of years later became his wife. These last years, he came down to colombia many times, we has wodnderful memories. I was furtunatelly, in october, 2018, I came back to Topeka, we has the chance to share many great memories again. His health was pretty bad, but he did not complaint at all. a week before Bryan went into the hospital, we had a chance to talk on the phone, I felt he was saying good bye. He told he wanted to hear my voice and that he did not feel well. HE WAS SAYING GOOD BYE TO HIS BUDDY. BRYAN, MY BROTHER, MY BEST FRIEND, I WILL CERTAINLY MISS YOU. So saddened by the loss of my friend Bryan. We ran track and cross country and played basketball in junior high and all through high school and spent hours together running and trying to solve all of the mysteries of life. Such a bright and lively and kind soul, he will always be a large part of the great memories I have of growing up in Kansas. One of my best friends. A groomsman at my wedding. My prayers are with everyone who loves him and will miss him as much as I will. Even though I sometimes would not see him for a few years at a time, we would always pick right up as if no time had passed. My heart is heavy now but I will always remember him with joy. Save a tee time for me when we meet again Bryan! To Bryan’s loved ones, please accept my condolences. I had the honor and pleasure to be one of Bryan’s Sig Ep brothers. I am grateful to have known him. Bryan, thanks for your friendship. I was so sorry to read of Bryan’s passing. My husband Jim and I lived next door to Bryan and Patti on Wanamaker Rd. They were awesome neighbors. We missed them after they moved. My prayers go out to the entire family. A great guy who left this world way to early in life. Our thoughts and prayers are with the family. He will be greatly missed by all that knew him. I’m glad I had the opportunity to know Bryan.